The Abloy spacer ring is designed to allow any of the Abloy deadbolt products to support doors that are thinner than 1 3/4" inches. It may also be used when the hole drilled into the edge of the door for the bolt is not perfectly centered within the door causing interference with one side of the lock. Each spacer provides an additional 3/16" (5mm) clearance. Abloy is one of the most reputable high security lock manufacturers in the world. Abloy is based out of Finland and their current top of the line lock system is the Abloy Protec/Protec2 system. The Abloy Protec system came out in 2001 and features a unique rotating disk based system with a disk blocking anti pick system that is unique to them. It is completely bump proof and extremely pick resistant (no known picking attacks have been successful). It is well respected as one of the top of the line high security locks in the world. It has one of the largest key spaces of any high security system with over 2 billion possible keys. Virtually all Abloy locks can be keyed to work with the same set of keys. The Abloy Protec2 was introduced in December of 2012 and it makes some refinements to the Abloy Protec system. The primary features include minor additional drill resistance, harder to copy keys with an interactive element and an extended patent through 2031. To order locks in the Protec2 system select “Protec 2 Elite” under key profile on the product options. For more details please see our Abloy Brand Information page. 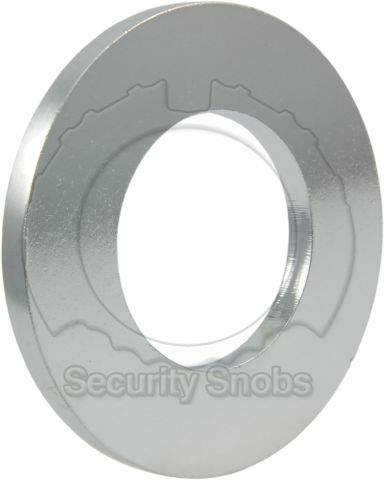 Abloy Deadbolt Spacer Ring was successfuly added to your shopping cart. You can browse for more products or proceed to checkout.